Jennifer Graymore(ne Horne) Guy's 1951 died on 23rd December 2018. Dorren Stebbing, nee Ashurst, Guy's 1951 died in December 2017. Doreen was Honorary Treasurer of the League for a number of years until it closed in 2010. Doreen was the most conscientious and efficient Treasurer and managed the smooth transfer of the League Benevolent & Scholarship funds to the GSTT charity in 2010/11. Mary Rowe: died in February 2018. Mary was the wife of Eddie Rowe, long time supporter and Special Trustee of Guy's. I am very sorry to say that Mary Parkins died on Christmas Eve after a short illness. She had been suffering from Vascular Dementia and it was a peaceful end for which all her family are thankful. There will be a Thanksgiving Service for Mary’s life at St Michael’s Church Tenterden, Kent on Thursday January 21st at 2pm. No flowers please but donations to Mary’s memory may be made to the PDSA or Dementia UK c/o the Funeral Directions, TW Fuggle &Sons, 20 Ashford Road, Tenterden TN30 6QU, to whom all enquiries should be directed (01580 763340). Fiona Haines, a long time friend, has informed us of Valerie's death on October 26th 2015. Valerie trained at Guy's in the early 1950s. 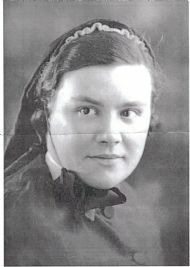 She then completed her midwifery training at Woolwich & Poplar and worked in Essex as a District Nurse before going to Morocco as a missionary midwife. Ill health forced her to return to the UK and she returned to Woolwich as a Midwifery Sister. She later took her Midwife Teacher's Diploma and became tutor to non SRN midwifery students. She also obtained a 1st Class Honours Degree from the Open University and later became Head of the Midwifery Training School at Greenwich, seeing its transition to a University. Died peacefully at home in Salisbury on 10th October 2015 aged 83. She completed her training at Guy's in 1954. I am very sorry to report the sudden death of Crystal Dowsett at the beginning of August 2015. Our sympathy goes out to friends and family. Madeline was born in south London in 1925. During the war she was evacuated with her twin sister, returning to London in 1943 to start her nurses training at Guy’s Hospital. She found the experience to be thoroughly enjoyable and satisfying, and she was a proud Guy’s graduate all her life. Madeline’s determination and undoubted abilities took her quickly through the roles of Ward Sister and Deputy Night Superintendent at Guy’s and then Deputy Matron at St Charles Hospital. On the way she qualified as a midwife and in 1962 she was appointed Assistant Nursing Officer to the Oxford Regional Board. In 1967 she became Regional Nursing Officer, a position she held up to her retirement in 1983. On coming to Oxford, Madeline settled in the nearby village of Islip and decided to make it her home. Both before and after her retirement she was very active in village activities from the WI to the Village Hall, from the Village Club to the British Legion. And it was here that she met and married Milburn Gibson in 1977 with whom she had a very happy life for the next fourteen years. Madeline lived for nursing and for Islip. She was a determined lady, with a strong desire to contribute and much love and friendship to give. She made many friends over the years and kept in touch with most of them for the rest of her life. 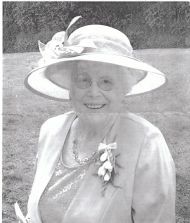 Over 100 came to her memorial service which was held in Islip church on November 28th. Despite the frailties of old age, Madeline managed to continue living at home up to her death as she wished, helped and supported by her good friends in the village. I have been informed by her niece that Esme Few died on the 13th September 2014. Esme trained at Guy's during the war and worked for many years at the Middlesex. 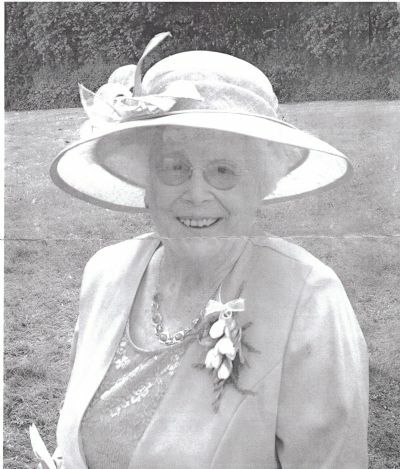 She was an active League member and latterly a regular attender at the Thames Valley re-union group in Oxford. I am informed by her son Allen, that Pat died peacefully on Friday 28th March 2014, a few days before her 90th birthday at Leighton Hospital, after a three month illness. Pat trained at Guy's during the war. After she qualified she married her husband John and had three sons. She resumed work in the early 1970s when she trained as a Health Visitor. Thereafter she worked as a Health Visitor, again putting her nursing skills to good use for the benefit of the local community. After she retired she continued to serve the community when became a School Governor at two primary schools. Pat was a member of the Guy's Hospital Nurses League and was always very proud to be a Guy's nurse. She maintained contact with her fellow nurses for many years and attended several re-unions. Her funeral took place on 10th April at the Parish Church of St James the Great, Audlem, near Crewe, Cheshire and among those present was a colleague from her Health Visiting days. DOROTHY JEAN SALMON (nee GIBSON) 8th June 1933 – 16th August 2013. On 16th August 2013 my beloved twin sister died after a bravely fought illness lasting 6 months. After leaving school we both went to work at The Schiff Home of Recovery at Cobham Surrey, prior to starting our training at Guy’s on 27th December 1951. There we met two girls who we are still in contact with, who later came on to Guy’s. Known as “one of the Gibson twins”, she loved her time at Guy’s and whenever we met with friends or without, Guy’s was always mentioned in some form or another! These years left a great impression on us. Jean followed the usual regime of training at Guy’s, interrupted only by appendicitis – nursed on Lydia by Sister Rix – and a short spell at Orpington. The highlight of her training was scrubbing for Sir Russell (later Lord) Brock and then marrying a Guy’s man Robin Salmon. After a spell in the RAF they settled into GP life in Slough and later in High Wycombe with another Guy’s doctor John Scorey. Jean served on the Guy’s Nurses League Committee for many years and was a regular helper at the Guy’s Flower Shop when that existed! She attended Guy’s reunions in both Oxford and Cambridge areas. Jean was a wonderful wife, mother and sister, full of fun and a good friend to us all. We miss her terribly. Freda Curtis, Guys 1947, died on August 8th 2013. She had lived in Court Lodge, Pennington, Hants for some years. Rachel died peacefully at Woodcote Grove House, owned by Friends of the Elderly, where she has lived for the last few years. Rachel worked in Matron's Office and was Betty Herbert's secretary. She first came to League meetings to assist Betty when she became Chairman but she had helped in the League Office for over 30 years. She was made an Honorary member and regularly attended Council meetings until it closed in 2010. The provisional date for the funeral is 11th April - for further details please contact the Manager of the Home on 020 8660 2531. No flowers but donations may be sent to either St. Peter’s Church, Woodmansterne or St. Andrews church, Coulsdon, where the service will be held. The picture with the (now previous)Archbishop of Canterbury was taken when he visited the home as part of the charity's centenary celebrations. I wonder if anyone remembers Thelma Wright? I see from the League report that she started at Guys in 1946. Thelma was a tiny red-haired lady with a lot of personality who agreed to join the Scottish local group of the GHNL when we started it some years ago. Thelma Wright was at Guys for quite some time. I think she must have been in the same set as Betty Herbert as she was upset not to have heard when she died as they had kept in touch over the years. After completing her training at Guys, Thelma stayed on as a Sister until she left to work in America and, while there I think she must have completed her psychiatric training as she, later, returned to Guys and was Sister in charge of York Clinic. Thelma never came to our lunches but one or two of us used to visit her as, by this time, she was totally blind and living alone in a flat near Holyrood. She was a joy to visit and chat with so we were very sad that she was never well enough to join us for lunch before she died last year. it would be lovely to hear from anyone who knew her rather better than we did. Heather died peacefully, on Jan 10th 2013, at home in Gloucestershire after a short illness. She had been a caring nurse, a respected magistrate and a committed member of her community alongside being a much loved wife and mother. Heather's cheerfulness and enthusiasm at the Thames Valley reunion group lunches will be missed by us all. Robert Kempster has died suddenly but peacefully at home on 27th May 2012, aged 82. Sarah was born in June 1920 at the Curragh, Ireland. Her father was a vet from an Irish farming stock who served in the British army in WW1, and her mother was a Scot from Edinburgh. She had one younger brother, Gray. She was always known to her birth family as Nancy (a short nickname for her 2nd name Agnes) and was probably known by this name (Nancy Irvine) when at Guys. The family moved to South Molton in North Devon, England where her father began to practise as a vet. She was educated at Barnstaple Girls Grammar School. She also had an interest in plants and almost trained in horticulture but decided to follow a nursing career instead. Sarah trained as a nurse at Guys hospital in London from 1939 onwards. She was working at Guys when it was evacuated to Kent and Hertfordshire during the war. Two of her friends were Bella, married name Flynn and Edna Colcutt, both of whom died some years ago. During the war she served in the Royal Navy nursing corps , and was on troop ships going to Ceylon (now Sri Lanka ), Panama Canal, Australia, New Zealand and India . Later in the war she was stationed at Naval barracks in Plymouth. After the war she continued her nursing career and then moved to Edinburgh to be near her mother. She trained as a midwife at Elsie Inglis hospital in Edinburgh and worked in Shetland as a nurse and midwife where there were numerous Sister Irvines!. She then became nursing sister in the sanatorium at Fettes College, Edinburgh, where she met Peter Henderson who was a schoolmaster there. They married in 1958 and Peter became a housemaster. They had two children, Jane born 1959 and Anne in 1961. In early 1964 the family moved to Drax in Yorkshire when Peter became Headmaster of Read School. Here, Sarah served on church committees and as a school governor, also becoming a Rural District Councillor. In 1973 they moved to Scarborough where Peter went to work at Bramcote school. Later Sarah resumed her nursing career, becoming night sister at St Thomas’s convalescent hospital in Scarborough in the mid 1970s. In Scarborough she continued to serve the community, being involved in local charities such as teaching English to Vietnamese refugees, and as a member of Scarborough drugs committee. She became the nursing sister at Bramcote school (where Peter taught) in the late 1970s / early 1980s. In retirement she befriended housebound elderly people who she visited and also joined one of the house groups of St James’s congregation. She worshipped at St James’s church in Scarborough from the mid 1970s until her health declined in the late 1990s. Sarah had two grand-daughters Emily and Olivia. In 2002 she and Peter moved to Rambla Nursing home and he died there in 2003. The staff at the Rambla all express great fondness and had many fun times with her. Sarah’s Interests were gardening, the countryside and animals especially horses.. She loved visiting Ireland, Scotland and the West Country. She also supported Peter in his career as a school teacher and headmaster, as well as in his cricketing pursuits during family holidays. - An Interest in young people. - A caring nature – nursing career and looking after Peter when his health declined. - A sense of duty. - She was positive, enthusiastic, witty and fun loving. My mother, died very peacefully on May 3rd in Arrowe Park Hospital in the Wirral from pneumonia and complications.I found amonst her papers details of the league and I thought that you might all like to know. She qualified in 1949. I myself am also a guy`s nurse and qualified 30 years later than my mother in 1979! Constance Mary Griffiths nee Hybart SRN SCM QN Guy's 1949 - 1953 died peacefully at St Richard's Hospice, Worcester on January 1st 2011. She is survived by her husband David and three children Janet, Ann and Matthew. The funeral for the late Betty Boyd took place on July 15th 2010 at the Surrey and Sussex Crematorium with a simple spray of summer flowers from the family by her request. She had organised her own funeral and had insisted that no black be worn. In lieu of fowers, donations were sent to Great Ormond Street Hospital where her eldest son David had received such care when diagnosed with polio in 1946. Betty was ninety-six and three quarters years young and was born in Edgebaston on August 19th 1913, the only child of Dorothy and Archibald McIntosh. Sadly her father died when she was not quite two and her mother was left to cope alone. She attended boarding school at Weybridge and Salisbury from the age of five until seventeen and then went on to finishing school in Switzerland. She started at Guy's in 1932. Betty marrried Richard Boyd in 1939 at St Mildred's in South East London, where they lived, bringing up four children. She also worked full time as a health visitor and then as a Nursing Officer for the London Borough of Southwark; finally retiring as Chief Nursing Officer for the Dept of Health for the area of the West Midlands. Latterly Betty and her husband moved Crawley, West Sussex to be near their family. Betty was widowed in 1998. 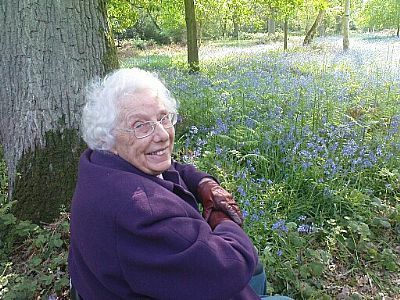 At the time of her death Betty lived at Abbeyfield Care Home in Horsted Keynes. Her nursing memories of Guy's was printed in the 2009 Journal. She is survived by her four children, Jill, David, Sarah and Gus and her ten grandchildren, eleven great grandchildren plus three more arriving later this year.